Informative posts about Divorce, Dissolution, Child Custody and Family Law. You have just one pie. Now you have to split it between the two of you. Odds are you’re both going to be worse off financially after you divorce. But the good news is you can steps to improve the outcome. If you’re heading toward divorce, the sooner you talk to an experienced attorney, the better. Divorcing spouses focus on their emotions before and during the divorce. Often it’s in the aftermath they realize the financial consequences of their divorce. Plan ahead. 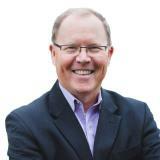 So you can avoid common pitfalls and make sure you get your fair share of the pie. .This is a primer to help you manage the financial aspects of your divorce. So you have the basics down before you speak with an attorney, who can guide you through the divorce process. Every divorce scenario is unique. You will not have exactly the same considerations as the person going through a divorce. But everyone needs to plan. Divorce is complicated and can throw you a lot of curveballs. Brainstorm and write down every single potential factor you can imagine. Is your spouse expecting a big bonus in the next few months? Are you just a year or two away from sharing your spouse’s social security benefits? Do you think it’s likely your spouse will file bankruptcy after the divorce? Do you suspect he or she will try to avoid making court-order payments? You might want to rush or pause your divorce based on these factors. Or choose a lump sum over monthly payments, depending on the circumstances. Think about how these kinds of events can impact your strategy. Work with a good attorney who can help you uncover as much as possible. The key is to have a plan that includes as many factors and contingencies as possible. A solid strategy will ensure you get your fair share in the final settlement. It’s a good idea to order your credit report. You should do this regardless of your circumstances. You should review all the accounts that are in your name. And check the balances on your loans and revolving charge accounts. If you were a victim of identity theft, how soon do you think you’d realize? The sooner you know, the sooner you can take action. Even the accounts you hold with your spouse may raise eyebrows. A lager balance than you anticipated, for example. Reduce your risk of getting stuck with a spouse’s debt. Close your joint accounts as soon as possible. Pay down debt as much as possible. The less debt you have to divide, the better. Reduce and simplify. It will make things easier when it comes time to divide the pie. And always keep track of your credit report and balance sheet. This will benefit you even after your divorce or dissolution is final. Check out a credit service that can help you keep track of your credit report and score. And send you periodic updates that make tracking easy and inexpensive (or even free). Start amassing your documentation right now! What do you already have on hand? Take an inventory of your financial records. Include your tax returns, bank statements, and loan documents. Make sure you include all over your revolving charge accounts, whether they are major credit cards or store accounts. Include mortgage statements and deeds to any property you own. Include you care insurance and loan papers or title. Include life insurance, pensions, and 401k investment accounts. Dig deep because you may have some accounts you haven’t thought about in years. Consider what might and might not count as marital property. If you have an untouched inheritance account, be prepared to prove it’s never been part of your marital assets. Have copies of any wills or trusts. You will need them during the divorce, and should plan to change them afterwards to reflect your new circumstances. If either or both of you have a business, make sure all of your financials and other documents are available. Make sure your your spouse can’t hide assets under the cover of business, to the extent possible. Take time to think. Try to remember any and all pertinent documents. Collect, organize, and store in a safe place. Documentation is your friend in a divorce. So make sure you document everything and share it with your attorney. A balance sheet describes the marital pie you’re going to divide. As soon as you realize there may be trouble ahead in your marriage, you may be tempted to start hiding assets. You shouldn’t. Be honest about what you have. Don’t try to eat the pie while you’re deciding how to divide it between you. The job of a judge is to be fair. If you can hammer out a settlement yourself, that’s ideal. But if negotiations falter, you want the judge to know you’re acting in good faith. You’re being honest and trying to settle things in a reasonable way. Whether you’re at the negotiating table or in the courtroom, a good faith approach goes a long way. You need to make a list of everything you own. Include tangibles like your home and vehicles. But also include whatever investment and retirement accounts you have. You may have some assets you haven’t thought about for years. That 401k company you never rolled over from your previous job? That counts. Down the road, dividing up everything can get tricky. Who gets the big screen TV your in-laws bought the you last Christmas? Does it go to you because it’s yours, or your spouse whose parents made the buy? Hmm...don’t worry about that for now. Take an inventory of what you have, including major household goods (and maybe even some minor ones). Your televisions sets and you sectional, not just your home, vehicles, and bank accounts. Make your list as complete as possible. The goal is to give your attorney a clear picture of the pie you’re going to divide. Now you need to list all your liabilities. Your mortgage, loans, credit card balances, and so forth. Once you add up all your debts and deduct them from your assets, what’s left over? If you’re assets exceed your liabilities, you want the biggest slice of that pie you can get. But sometimes debt exceeds assets, and you find yourself in the hole. If you have a negative balance sheet, then you each have to take a share to repay. At first, don’t get too bogged down in who gets what. Stay focused on creating an accurate picture. At some point you will want to make sure your bank accounts are in your own name. You may need to keep a joint account in place to pay ongoing expenses. And you may have to wait to divide up your savings and investments as part of your divorce. But you and your spouse may also agree to split the savings now. That way neither spouse can drain the account before or during the divorce process. At the very least, you’ve going to want to get your bank and investment statements together. You will need to provide these to your attorney so you can divide the financial assets fairly. There are many issues to deal with such as dividing marital assets and debts. Too often, parties underestimate the financial aspects of divorce. If you have money in savings, now is the time to think about how to use them. You may want to take some savings to pay down debt. Or you may want to take care of some newly-found priorities. Does your car need new tires? Neglecting this need for a little while may not be a big deal when you have two incomes and a stable household. But once you start the divorce process, things change. If you need to maintain a car to get around, you want to make sure you’ve replaced your tires while you still have the funds. Once you’ve allocated your savings to the “must haves” you’ve identified, protect it. You will want your own savings account. You also might also want to start saving. You will include you savings in your marital assets, so this is not about squirreling away money in secrecy. It’s about having cash on hand for the things you need. Cash needs may crop up that you’ve never even thought of, so be prepared. If you can pay out of your existing reserves, that’s better than running up debts. Especially if you have to put your expenses on high-interest credit cards. You know you’ll have legal fees and court costs. But what about additional living expenses and therapy bills? You can’t anticipate every conceivable expense. But you can get into the right mindset and start saving as much as you can now. One of the top reasons for filing bankruptcy is divorce. In bankruptcy, things can get complicated very quickly. Should you file while you’re still married or after the divorce? What happens if you forgo filing together while you’re still married? Or your spouse files after the divorce is final? You could get stuck paying your share and your spouse’s share of a debt! Let's look at an example. Let’s say, for example, the court assigns you to pay off a credit card. But you are not the only one who pays the bill. Your spouse ran up the bill too. It was a joint account. So both pay it back according to your agreement. Your ex-spouse then decides after the divorce to file bankruptcy. The debt on their side may be discharged. The ex-spouse is no longer on the hook for the debt. But the credit card company may come after you, and force you pay his or her share as well as your own! That doesn’t seem fair. But the credit card company is not a party to your divorce and does not have to abide by the terms. The fact is you acquired the debt together, and you’re on the hook to pay it back. The credit card company does not have to honor your divorce agreement. Accounting for the fact your spouse may file for bankruptcy can reduce your risk. Bankruptcy Before, During, or After? Let's say your balance sheet shows you’re underwater with lots of debt. You and your spouse may want to file bankruptcy together before you proceed with a divorce. This way you can make sure the debts are discharged for both of you. Neither of you will be eligible to file bankruptcy again for years. Long after your divorce is final. Another option is for you both to file for bankruptcy after the divorce as part of the plan. In some cases, filing separately has advantages. You will need to weigh the pros and cons of your various options. Accounting for both Chapter 7 and Chapter 13 bankruptcy requirements and stipulations. DIY approaches can be risky. Especially when your financial picture is complex and includes considerable debt. There are some things no one can discharge through bankruptcy. These exceptions include child and spousal support. Reduced debt can actually make it easier to keep up with child and spousal support payments in the long run. Anyone filing bankruptcy must pay child and spousal support before creditors. The court may also reconsider the circumstances after bankruptcy. If the court decided to increase child support, this will offset some of the benefit. The debt burden may decrease but the support burden may increase! As you can see, we are dealing with a very complex mix of factors. Bankruptcy is best handled by an experienced attorney. Whether you're actually filing or anticipating what your spouse may do. Your attorney can weigh the available options and probable outcomes. This is the best defense against unwelcome surprises! As I mentioned before, bankruptcy does not discharge child and spousal support obligations. This is important. It’s important to the ex-spouse and children who depend on support. And also to the person filing bankruptcy, who must factor this reality into his or her decision. Spousal support, also known as alimony, is money paid to an ex-spouse. There can be a variety of reasons why the court orders spousal support. Sometimes the other spouse can't earn enough income to support himself or herself. Other times, a spouse with a much higher income must share. This helps each party live closer to the standard of living they enjoyed as a married couple. The court may also order spousal support as a way to punish a spouse. For financial misconduct in the marriage, for example. Spousal support can strain your resources. Regardless of what justification the court offers. Do remember the fundamental rule about the payment of spousal support. Money paid by the obligor (the person who has to pay) is deductible on your taxes. The money received by the obligee (the person receiving the money) is income for tax purposes. Child support is a monthly payment. One spouse pays child support to the other, who spends the money for the benefit of the child or children. It is often paid to the custodial parent by the parent who does not have physical custody of the child. In shared parenting, it may be that neither parent pays the other. They share expenses equally. But if one spouse has a higher income, the court may still order child support to balance out the households. Parents have a legal duty to support their children (at least up to they are 18 or out of high school). When parents decide to divorce, this duty does not end. Child support helps the custodial parent pay necessary living expenses. But the parent paying child support is often placed under a financial strain. That parent struggles to pay his or her living expenses on a much lower income. The court will strive to balance the interests of both parents, as well as the interest of the child or children. The Department of Job and Family Services provides an estimating tool. Visit the Ohio Child Support Calculator if you'd like to know about how much you'll pay or receive. Taxes are complicated. You will need to sort through what’s going to happen current year. You don’t want any big surprises when you file. You’ll also need to decide who can claim certain exemptions, and write that into your settlement. If one or both of you owes back taxes, that should be sorted out before the divorce is final. Look for any hidden taxes or liens, and make sure you address them all. Your attorney can help with your tax planning. What’s important is making sure you take taxes into account, preferably right from the start. Separating into two separate households is hard. Divorcing spouses must stretch the same income to cover more expenses. This shift can drastically affect the parties’ standard of living. 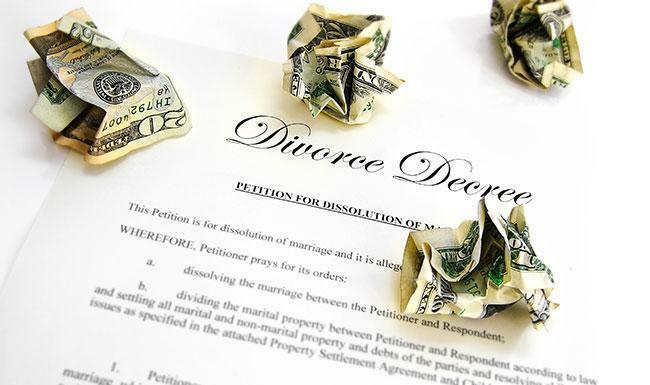 The financial stress can add to the emotional strain of the divorce. The divorce may cause depression, anxiety, health problems, and problems focusing at work. At a time when secure employment is more important than ever. It is always less expensive to maintain one household. But when you decide to separate, you will have two households to fund. Everything increases or even doubles. Mortgage/rent, utilities, food, insurance, etc. It is generally much cheaper for two people to live together than it is for them to live apart. Unfortunately, many couples only realize how hard this can be when get into this situation. Visiting an attorney early in the process can help. An experience attorney can assess your situation, and tell you what to expect. You and your spouse can make informed decisions. Even though divorce is still hard, expert advice really helps. Divorce is expensive. A dissolution is usually cheaper because parties agree to the terms. But a dissolution can still cost a few thousand dollars in attorney’s fees. The cost depends on what has to get done to get the job done. However, this amount increases when couples argue over every issue. The more you and your spouse haggle over each issue, the more you will both pay in attorney’s fees. Some attorneys will let you pay a flat for your divorce or dissolution. This is a great option because you now upfront how much your case will cost and can budget and plan accordingly. Usually you can pay your flat fee amount in a couple of payments. My office offers a flat fee payment structure you can read about in more detail here. Besides the attorney’s fees, the costs of a contested divorce can quickly climb. In a contested divorce, attorneys must conduct discover to get evidence to use at trial. Depending on the circumstances of the case, the court may order one party to pay the costs for the other party. If this occurs in your case, you will be facing double for the divorce. You will be responsible for paying your spouse’s attorney, as well as your own attorney. While this is rare, it does happen. Especially when one side is uncooperative. This may include hiding assets and or engaging in financial misconduct. This kind of strategy can backfire, so it's better to act in good faith. It's in the best interest of both parties to settle without the necessity of a long court battle. Financially, it is much less expensive when the parties work together. The goal should not place to plan an unreasonable financial burden on either party. Divorce is often stressful and expensive. But if the parties can put aside their emotions, they can work together for mutual benefit. Make sure you plan well, because on many aspects of your divorce decree, you don’t to do over. Solid planning with an experienced attorney can make huge difference. Worried about how much it will cost to settle your case? Take the guesswork out of divorce fees. Click here to learn more. Born in Toledo Ohio and grew up in Yuma Arizona, Taylor Michigan, San Juan Puerto Rico and Cleveland Ohio. Graduated from Midpark High School in 1978, 4th in class of 666. Graduated from Denison University in 1978 with a B.S degree and Eastern Michigan University in 1980, with a M.S. degree. Graduated from Capital Law School in 1991 and passed the Ohio Bar that year. I started my own law firm in 1991 and have been in private practice ever since, practicing primarily in the family law and personal injury practice areas. My firm mission is not just to give legal advice but to help people get their lives to a better place. Divorce Hearing No Show: What Happens if You or Your Spouse Don't Show Up?